Theresa Cooper has the distinction of being an active licensed Realtor on Fripp Island and Harbor Island longer than anyone else currently selling in the area. That translated to “she has more first-hand knowledge and experience than any other agent out there.” Tee first came to Fripp in 1985. 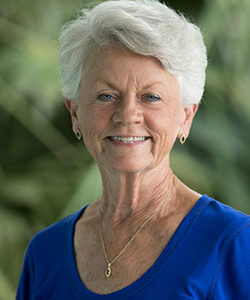 She had planned to retire and enjoy golf, boating, and beautiful beaches. After three years Theresa had the itch to go back to work and got her real estate license in 1988 and she hasn’t looked back. Not only has she sold many, many homes in the Lowcountry of South Carolina, but she has also sold some homes multiple times. Before her short-lived retirement, Theresa was an executive with Phillips Petroleum. During her tenure there she wore many hats and had responsibility at one time or another for; the Textile Division, Personnel, Safety, Purchasing, Production Planning, Payroll, Shipping and the Warehouse. Attention to detail and the ability to get along with all types of personalities was the perfect experience to launch her real estate career. Tee took all she had and ran with it. Since getting her license, she has consistently been in the top ranks of both listing and selling sides of the transactions. She knows what she is doing. Fantastic views of three holes of Ocean Point Golf Links, lagoon, Fripp Inlet and Hunting Island from this 3BR/2BA duplex in High Dunes Lookout.